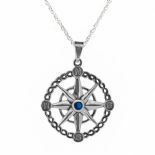 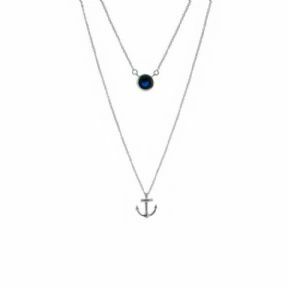 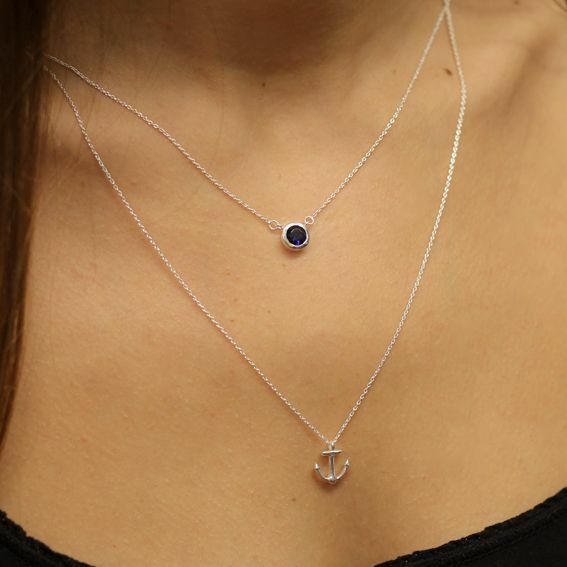 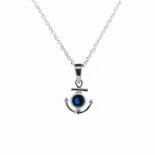 This stunning Double Chain Silver Anhcor Necklace, enhanced with a Sapphire coloured stone, is part of our new nautical themed collection inspired by 'Voyager', the 3rd book in the Outlander series. 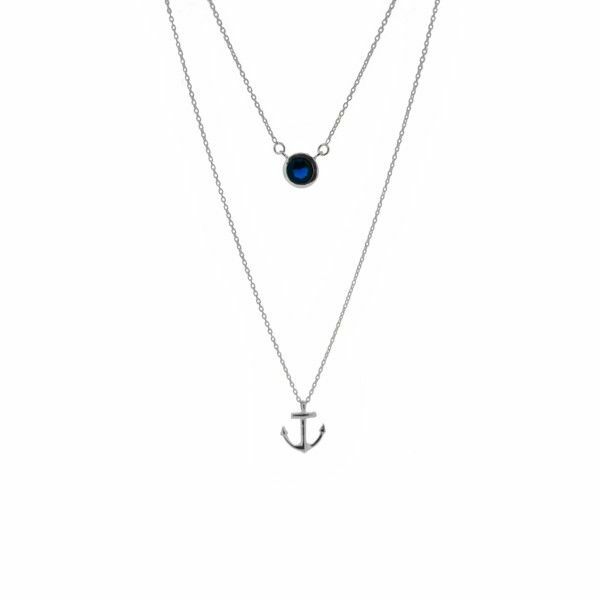 This delightful necklace is crafted entirely of 925 Sterling Silver and comes presented in an attractive black & gold gift box. 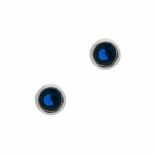 It is despatched to you direct from our showroom in the heart of Edinburgh's famous Royal Mile. 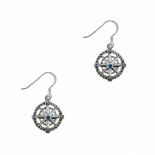 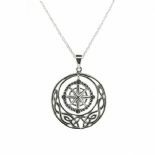 This stunning double pendant will make a loving gift and a lasting momento for any Outlander fan. 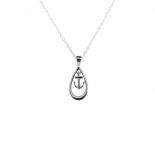 Size (approx) - anchor - 12.0mm x 11.0mm, stone - 8.0mm x 8.0mm.